The 1957 Buick Accessories Flyer is showing all dealer installed accessories which could be bought for a 1957 Buick. 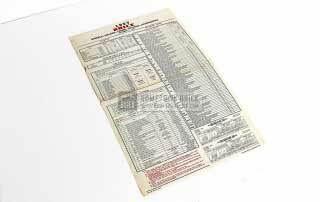 It’s the companion of the price flyer which indicates the factory installed optional equipment. 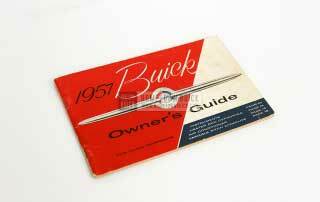 With both flyers you can easily calculate the original price of your Buick. This flyer was given to customers. 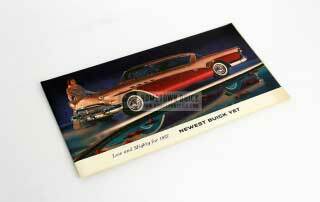 It has some beautiful photos in it, together with a handy description and the price (plus installation). 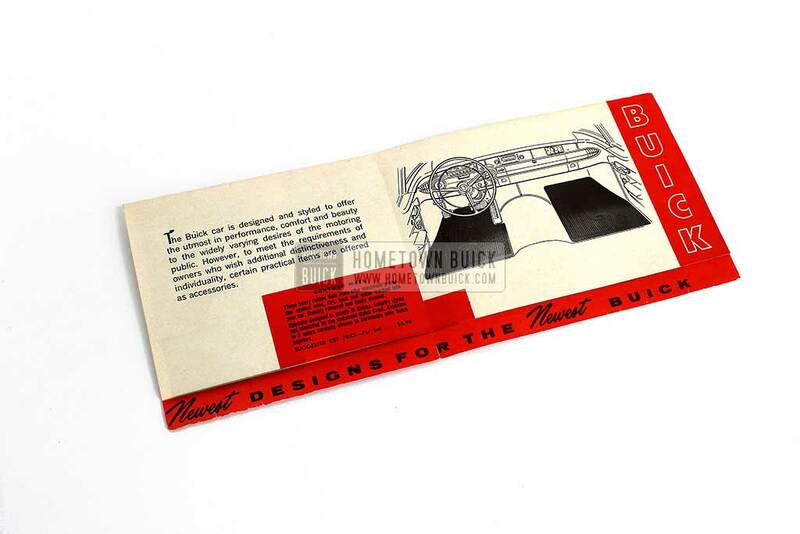 The first accessory are the “Contour Mats” for carpet protection. 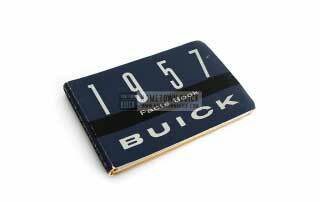 They were very popular in 1957 – and also today. 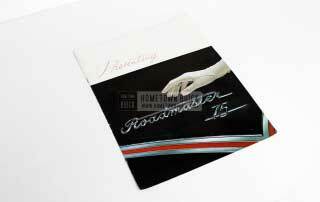 NOS mats are hard to find, but there are a few produces who manufacture good reproductions. But of course not for the original price of 5.95 USD! 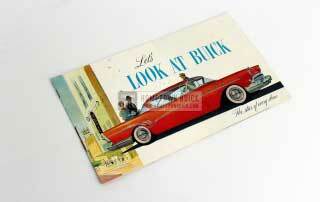 In this manner, the 1957 Buick Accessories Flyer could be seen as eye opener for inflation! 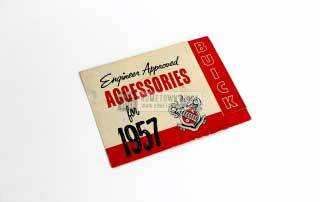 The inner side of the 1957 Buick Accessories Flyer holds 15 accessories. 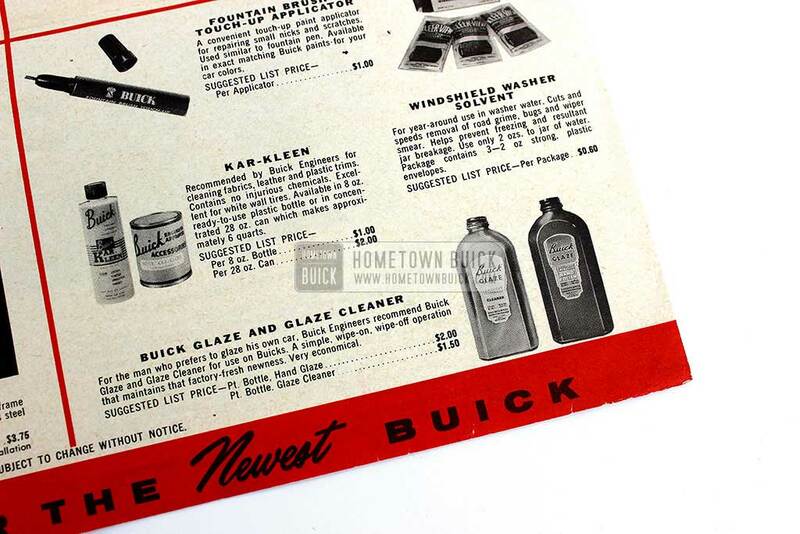 From mirrors, tissue dispenser over a rear seat speaker to windshield washer solvent – everything you need for your 1957 Buick. Even seat belts were available. 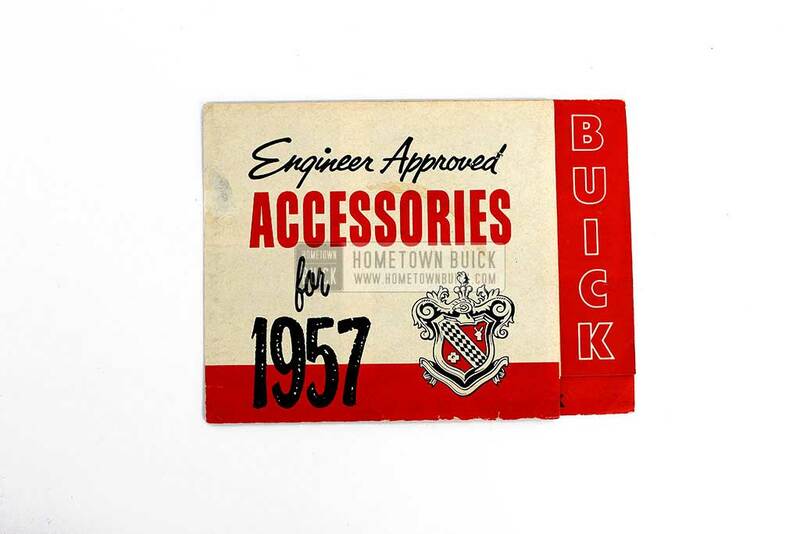 I was very surprised to see them so early as factory engineered item and indicates how safety became an important buying factor over the years. They could be ordered for front and rear seat. But if they were used properly, the car could only carry four instead of six passengers. I’ve been watching eBay and other car selling platforms for over ten years now. 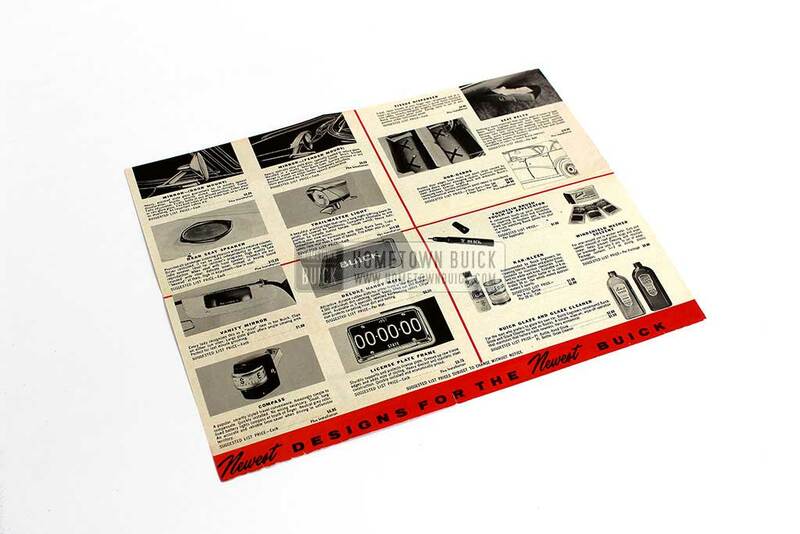 The most chosen accessories I’ve seen are: Vanity Mirror, Deluxe Handy Mats and Tissue Dispenser (NOS examples have become very expensive and are hard to find for less than 100 USD). 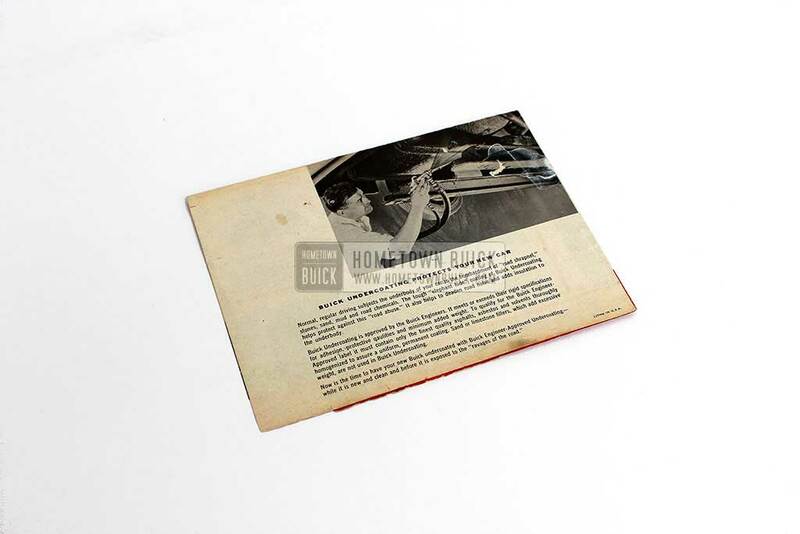 The back of the flyer is concerning undercoating. There is no price shown. 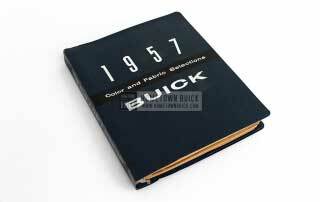 Overall, the 1957 Buick Accessories Flyer is a neat piece for all owners and fans of 1957 Buicks. If you see one for sale, take this opportunity. You never know how long it takes until another example shows up! 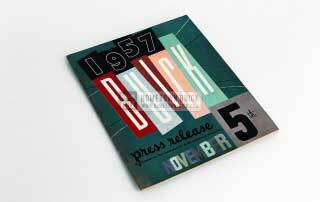 The price for this flyer in average condition is about 25-30 USD.